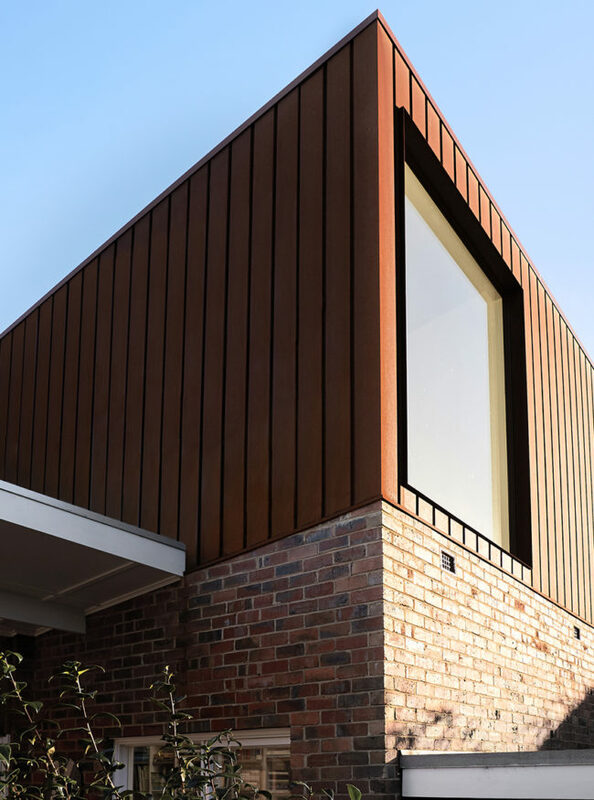 House A (for Alphington), located in Melbourne’s inner north, was the proud Winner of the 2017 Victorian Architecture Award, Residential Architecture – Houses (New) category. 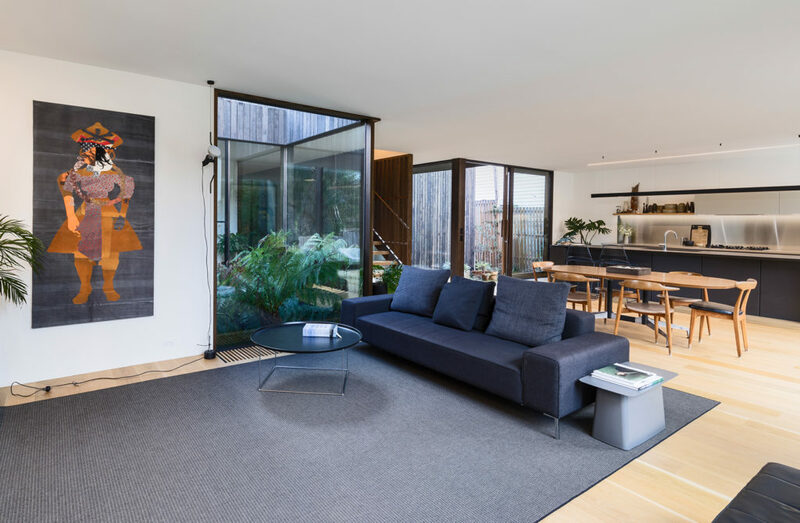 Responding to the inclined nature of its block, the house creates a feeling of a country escape — it’s design leading outward to a timber deck, where landscaping by Lygon St Nursery echoes the natural environment. 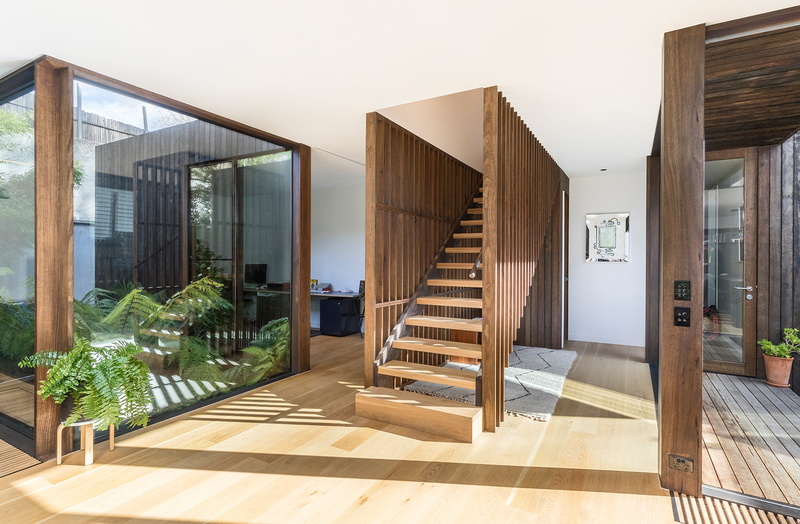 Timber plays a significant role here, both internally and externally, with rough-sawn Stringy Bark cladding the outside of the house and featuring inside too—this time, in dressed form, to clad walls and screening the staircase. 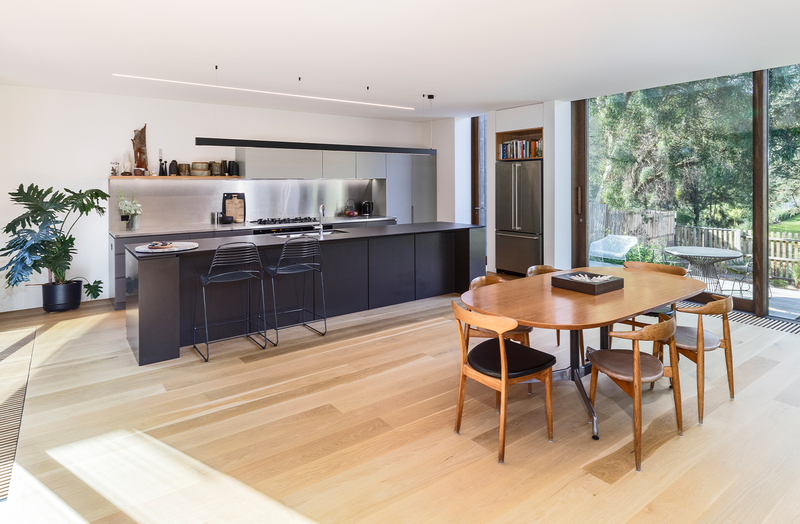 American Oak floors further complement the Australian hardwoods. 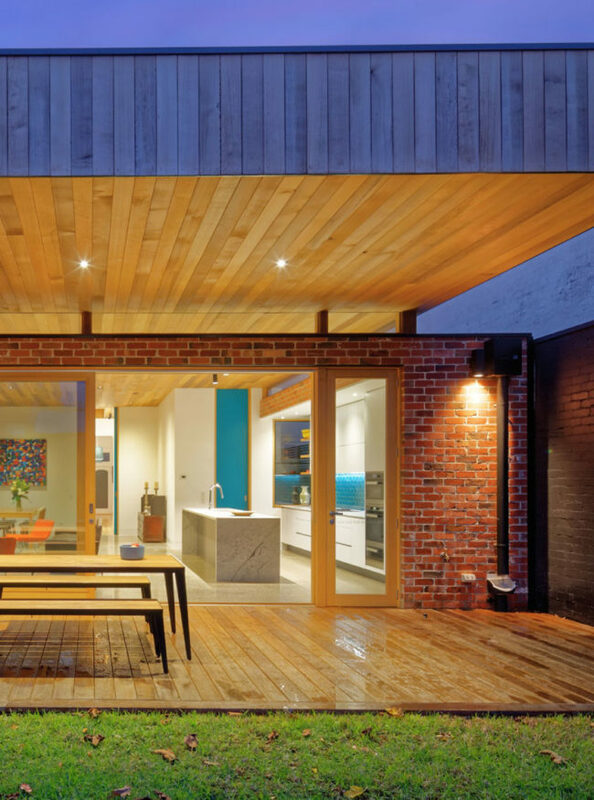 The windows, most of which are floor to above-ceiling height were custom built on-site by us.